Low-wealth Athenians who rely upon the bus for their everyday needs such as getting to work, grocery shopping, and visiting friends will feel significant impacts. 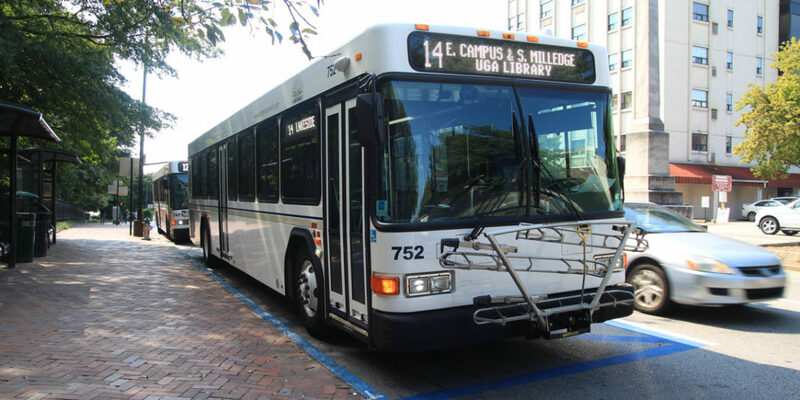 The other large population who uses Athens Transit are UGA students, but they will not be affected by this policy as they ride fare-free as long as they have their UGA ID. Athens Transit only accepts two forms of payment: cash and prepaid 22-ride passes. The buses do not accept credit or debit cards, so if you do not have a prepaid pass, you can only ride the bus if you have exactly $1.75. Some larger transit systems, such as Washington DC, have moved to this model but there are hundreds of convenient kiosks where you can buy or reload prepaid passes using a multitude of cash denominations or credit/debit cards. Prepaid passes are only available for Athens Transit at the Multi-modal station, and the passes are not reloadable. The easiest solution would be to reinstate issuing/accepting “change cards”, though I do understand that there is a considerable cost in this, which is likely why the cards are no longer being accepted, which brings us to…moving our transit system to a fare-free system that has no need for “change cards” or costly fare-accepting mechanisms at all. The other options are to begin accepting credit/debit cards or to start using a reloadable prepaid ride pass. These reloadable passes are more durable and can be reloaded at kiosks or via a website portal. Getting rid of change cards, in the present system that Athens Transit uses, will result in a loss in ridership and a remaining ridership that is less satisfied and loyal. It also negatively affects low-wealth riders who rely on the bus while more privileged riders are not affected.